This L-shaped desk provides you large space for working, studying and gaming. It can put 3 PC monitors on, which is perfect for gaming. Also, it fits perfectly in small space corners whilst providing maximum space. Large space under desktop where you can comfortably stretch your legs. Interchangeable Panels: Assemble large or small panel on the right or the left side as you like. And it is easy to install with the instruction. Desktop made of 1.5cm thicker laminated MDF, waterproof and ant-scratch, very easy to clean. Steel frame structure is sturdy and durable which can be supported strong loading capacity whilst ensure the excellent stability of the desk. 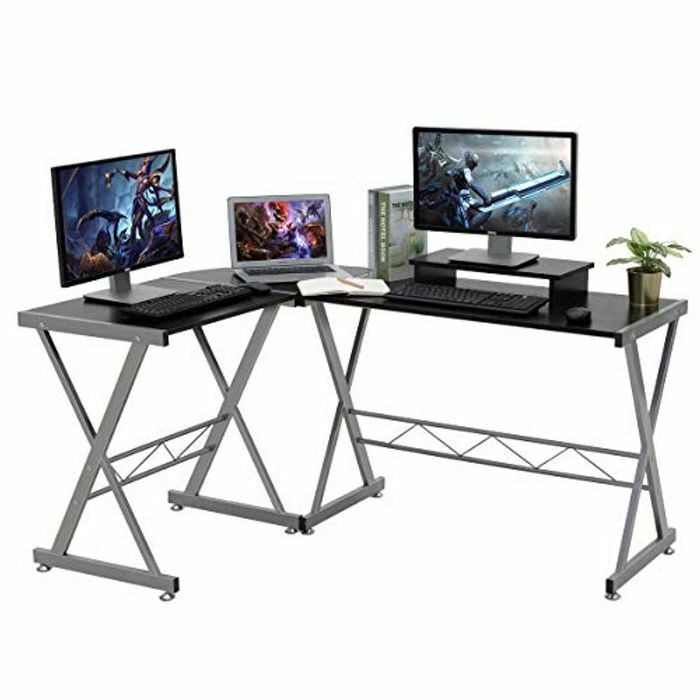 We absolutely think you'll love this L-shaped computer desk, if you don't like it or have quality problems, just contact us, 100% fully refund or replacement, we are offering the best guarantee on the market.